​​John H. Kirbo is an attorney who represents clients ranging from international businesses to working class individuals. John's practice began strictly in the fields of tax and business planning and transactions, and has expanded into representation of clients in litigation matters involving business, tax, and estate conflicts, as well as criminal defense, personal injury, and civil rights. An Albany native, John graduated from Deerfield-Windsor School before attending Mercer University, where he graduated with a Bachelors in Business Administration. Following graduation, he went on to earn his J.D. becoming the sixth lawyer in his family to graduate from Mercer University’s Walter F. George School of Law. From 2007-2008, he clerked for the Macon personal injury firm, Lindley, Powell & Rumph, and also for Kirbo & Kirbo. Upon graduation from law school, he moved back to Albany to join Kirbo & Kirbo. 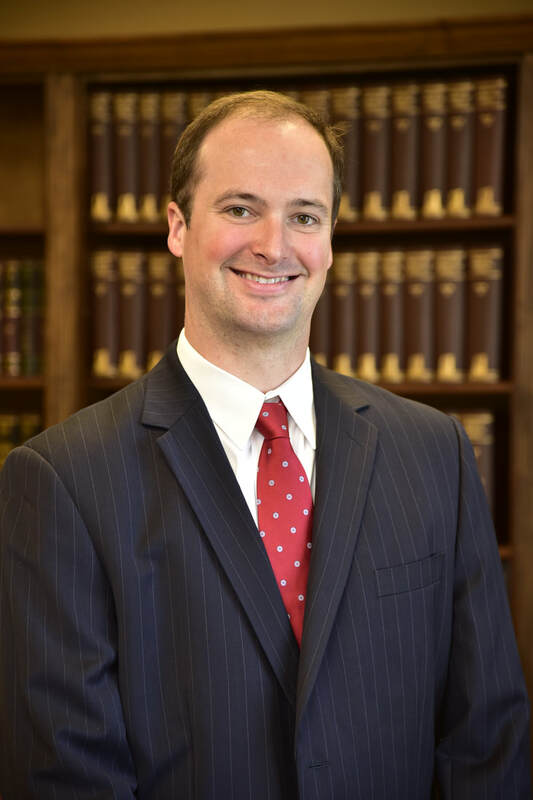 During his first two years as a practicing lawyer, he earned his Master of Laws in Taxation from the University of Alabama. John currently serves as the President of the Dougherty Circuit Bar Association, as an appointed member of the Board of Trustees of the Dougherty County Public Library, on the Board of Directors of the Artesian City Sertoma Club and as a member of the Rotary Club of Dougherty County. In recent years, John has served as the Albany Area Representative for the Georgia Attorney General's Legal Food Frenzy and as an annual host of Wild Affair, benefitting the Flint RiverQuarium. In 2014, John was recognized by The Albany Herald as one of "Southwest Georgia's 40 Under 40". In 2008, John married his wife, Cristin Kimbrell of Roswell, after meeting at Mercer University. They have two daughters, Helen Elizabeth and Jane Hall. John and his family are active members of First United Methodist Church in downtown Albany. In his free time John enjoys spending time with his family and friends, supporting Mercer University Athletics, and taking advantage of the great outdoor opportunities in southwest Georgia, especially golf and fishing on the Flint River.